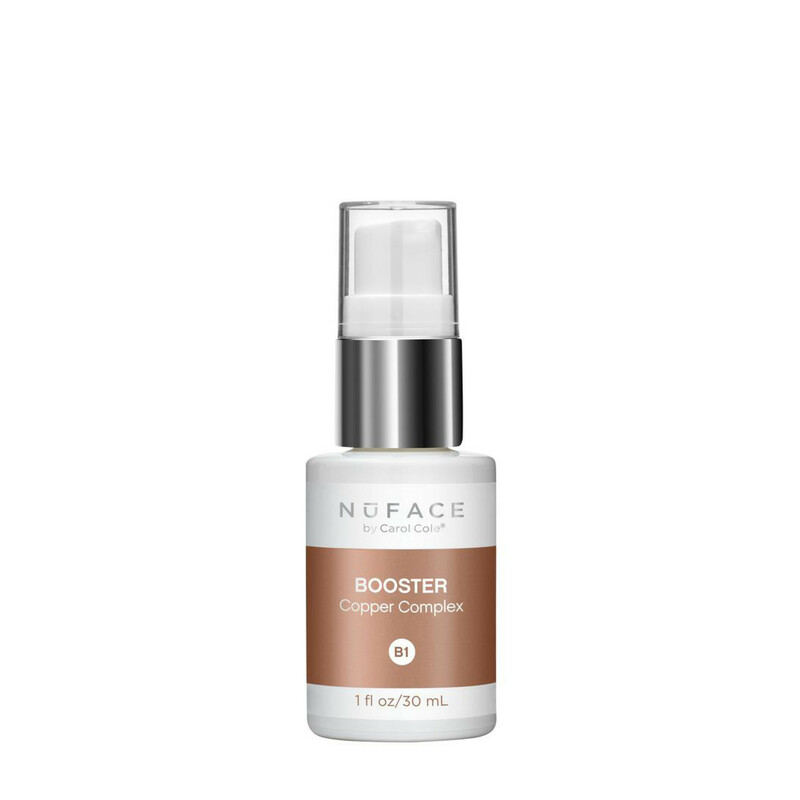 A must have in every skin care regimen, Booster’s essential ingredients – copper, vitamins, antioxidants and botanical extracts – help reduce the visible signs of aging by restoring skin’s natural glow and suppleness, while diminishing the look of pores for an even, more radiant look. Copper’s purifying mineral properties help diminish the look of pores and boost hydration. Vitamins A, C, E & F essential vitamins and antioxidants help prevent free radical damage. Antioxidant botanical extracts, Vitamin B and Aloe soothe and moisturize for improved resiliency and more youthful, radiant skin. Use AM and PM. Cleanse skin and apply 2 full pumps evenly over face, neck and décolleté area. Tap into skin with fingertips. May be used around the eye and mouth area. Specially formulated to be used before a NuFACE device treatment. For best results, do not use with NuFACE Lifter Serum.